NB's Trickmyride who was adopted by Katie in White Oak, she is calling her Sasha. 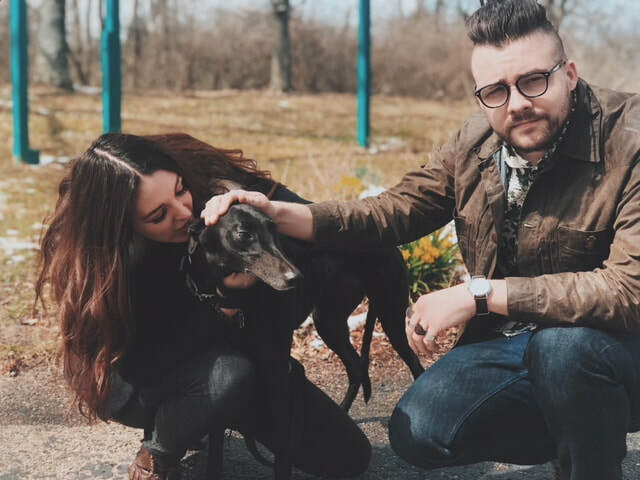 Katie has always wanted to have a greyhound and heard about this little black girl and fell in love before she even met her. Sasha is a confident girl and will do well with Katie and her boyfriend Nicholas. She will enjoy her new life!